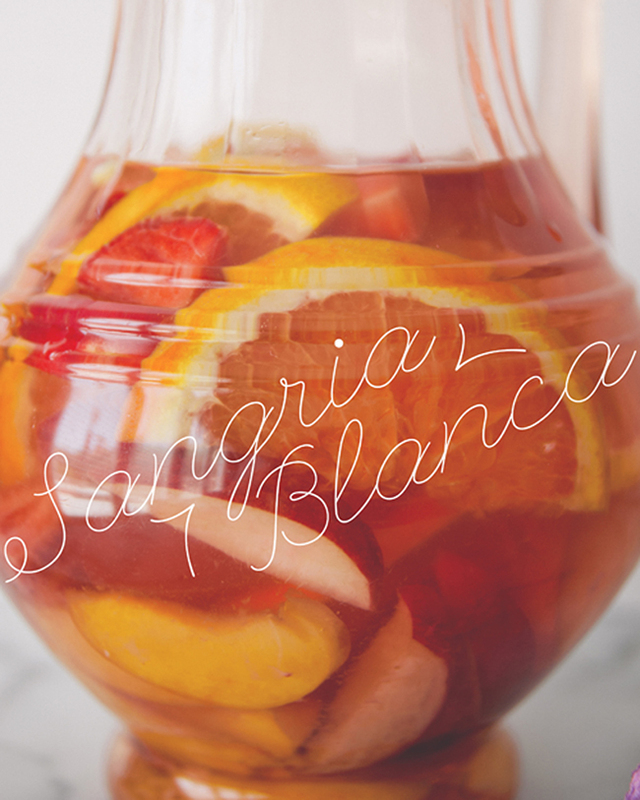 Here’s one of my favorites recipes from my cookbook, The Kitchy Kitchen: sangria blanca! 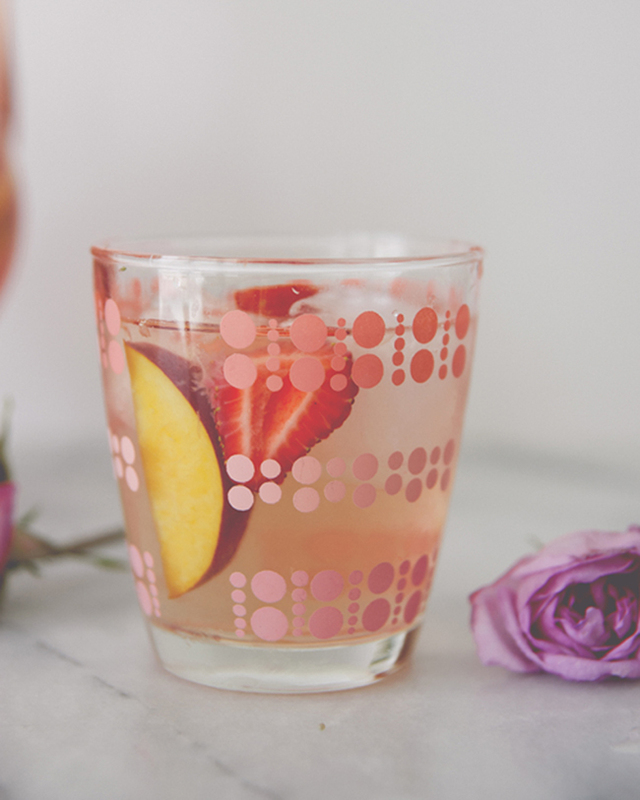 The juicy white peaches and nectarines, along with the strawberries and subtle rose syrup, make this drink a celebration of summer, as the success of the whole thing hinges on the ripeness of the ingredients. I used a torrontes (a South American varietal) instead of a pinot grigio or sauvignon blanc because of its tropical and floral notes. Oh, and don’t get weirded out if your rose syrup turns a little green from the fresh rose petals; that’s just the chlorophyll doing its thing. 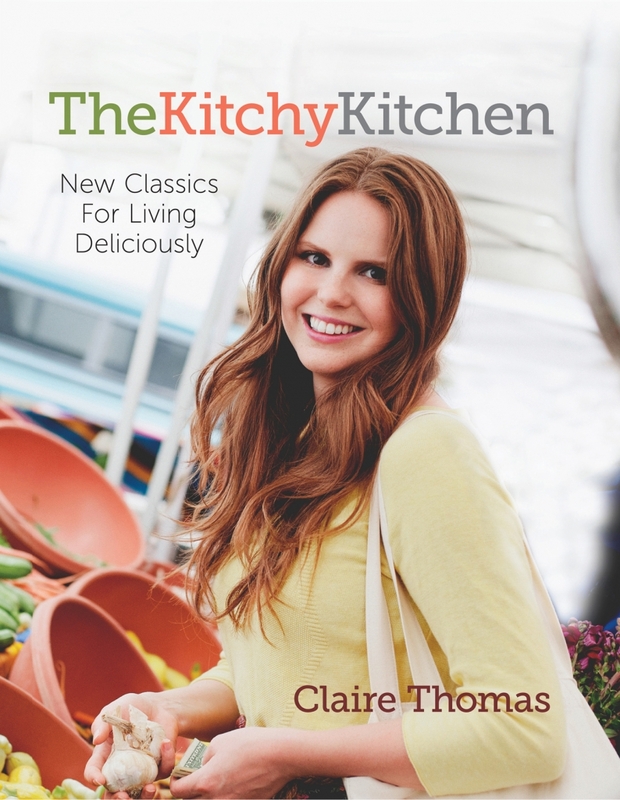 Slice the peaches and nectarines into eighths or tenths, depending on size. You can do whole slices of the citrus, but I prefer cutting supremes, so you can eat them after the fact. Slice the skin off the oranges and slice between the white membrane, segmenting the fruit. Halve the strawberries and set aside in a bowl. Add the syrup and wine to the fruit, and let the mixture sit in the fridge for a few hours to combine. 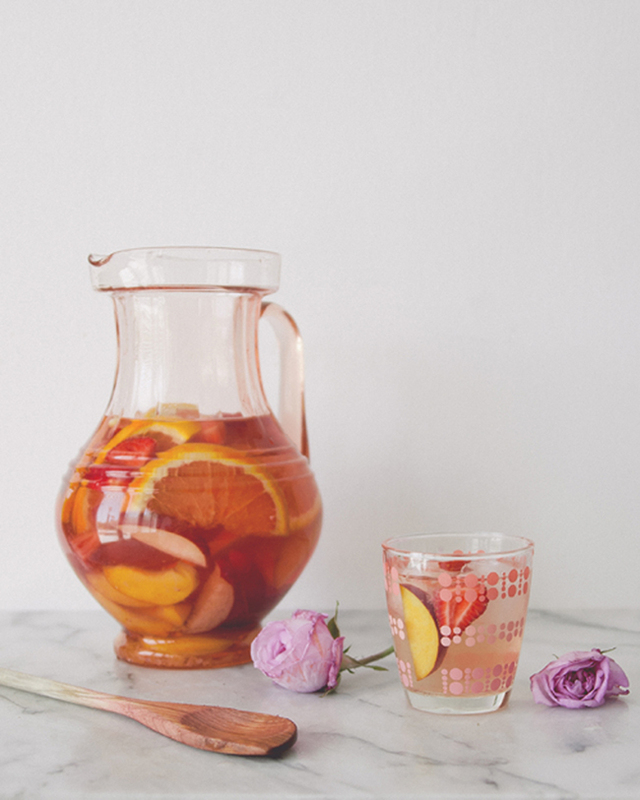 Add ice, pour, and enjoy! 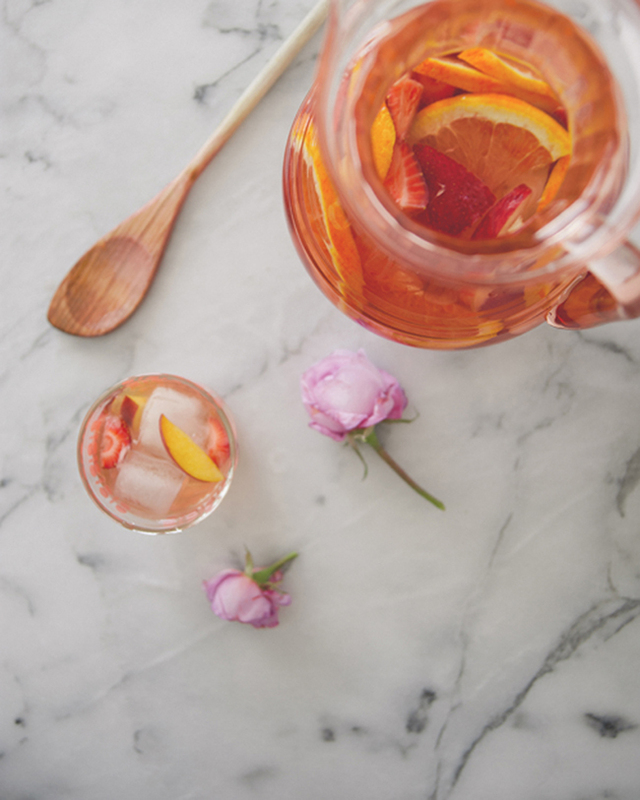 Combine the sugar and petals with 1⁄3 cup water in a small saucepan. Bring to a boil, remove from the heat, and let sit for 10 minutes to steep. Let the syrup cool to room temperature. Strain.